RD Olson Development developed this 130-room, four-story, full-service luxury hotel with approximately 4,000 sf of meeting space, rooftop deck and lounge areas, including a signature restaurant and day spa, totaling 103,470 sf. The nautical Cape Cod-style “Autograph Collection” hotel, designed by WATG Architects, was built on 4.3 acres at the former Newport Beach City Hall site and is expected to generate $1.5M in annual City revenues. Due to seawater levels in the subgrade soils, the existing storm drain and infrastructure are very shallow. As a result, unique and innovative solutions were required to mitigate stormwater runoff, while concurrently meeting LID development and water quality standards mandated by the California Coastal Commission and Santa Ana Regional Water Quality Control Board. Site grading and drainage needed to be extremely precise and coordinated to address water quality, stormwater runoff utility, accessibility and a myriad of other hotel development site issues. 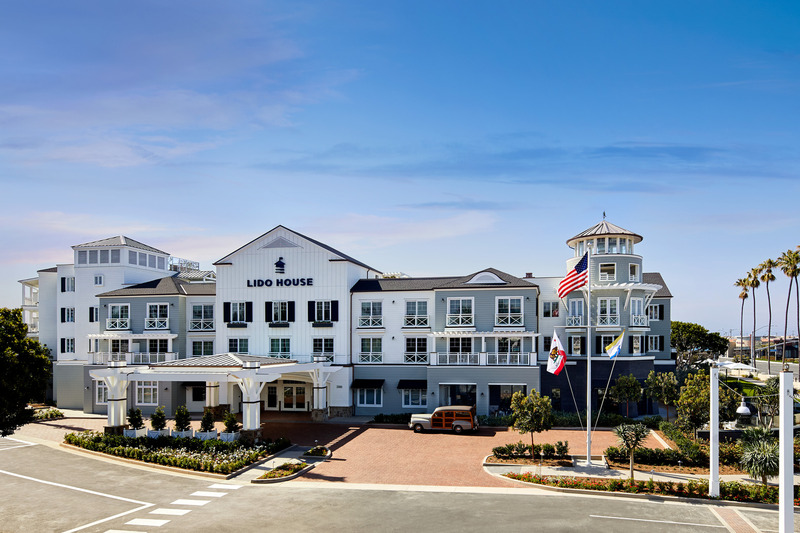 Fuscoe Engineering staff members developed strong, positive ties with the City of Newport Beach as the Lido House Hotel project required intensive coordination. Project challenges included revising access to an existing fire station, cross lot drainage and realignment of 32nd Street to straighten travel lanes and allow for additional parking on the north side of the street, east of the project. The Lido House Hotel sits on an extremely tight infill site, so utility connections were difficult and complicated, requiring innovative civil engineering solutions, due to the high, tidal-influenced salt water table. Completing permitting and coordinating construction issues for the Hotel, prior to the summer tourist season, proved to be additional challenges. RD Olson Development developed this 130-room, four-story, full-service luxury hotel with approximately 4,000 sf of meeting space, rooftop deck and lounge areas, including a signature restaurant and day spa. 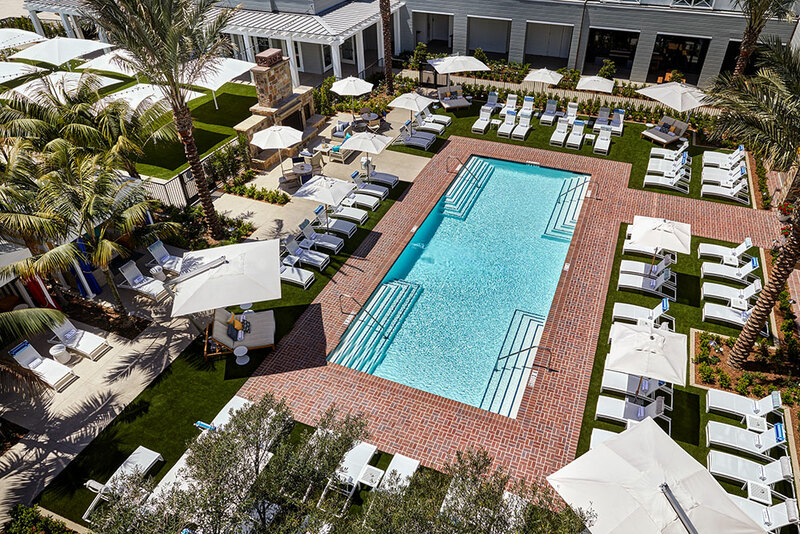 The nautical 103,470 sf Cape Cod-style “Autograph Collection” hotel, designed by WATG Architects, was built on 4.3 acres at the former Newport Beach City Hall site and is expected to generate $1.5M in annual City revenues. 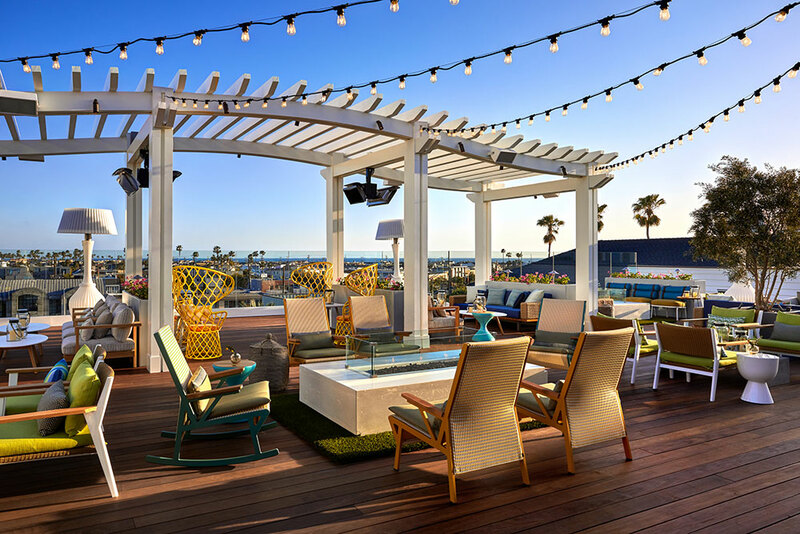 Fuscoe Engineering staff members developed strong, positive ties with the City of Newport Beach as the Lido House Hotel project required intensive coordination. Project challenges included revising access to an existing fire station, cross lot drainage and realignment of 32nd Street to straighten travel lanes and allow for additional parking on the north side of the street, east of the project. The Lido House Hotel sits on an extremely tight infill site, so utility connections were difficult and complicated, requiring innovative civil engineering solutions, due to the high, tidal-influenced salt water table. Completing permitting for the Hotel, prior to the summer tourist season, proved to be an additional challenge.